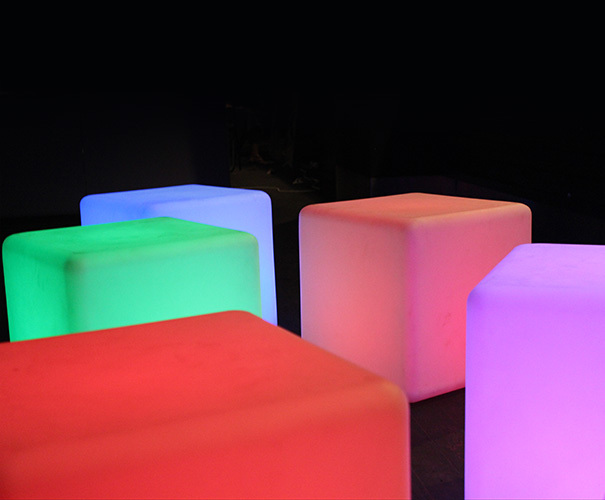 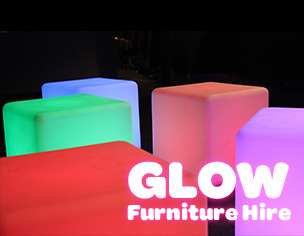 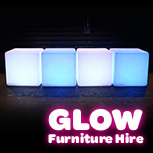 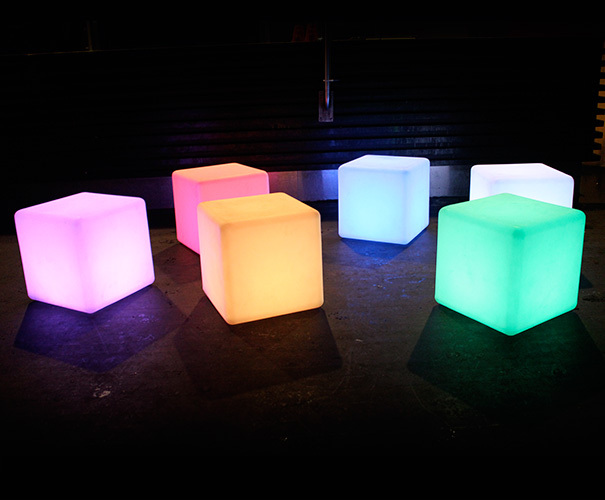 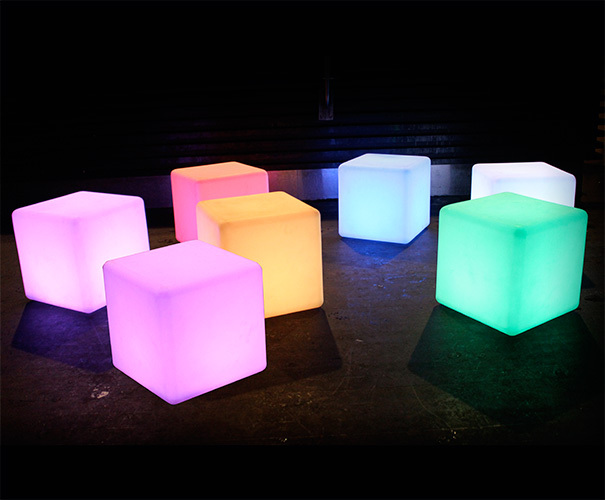 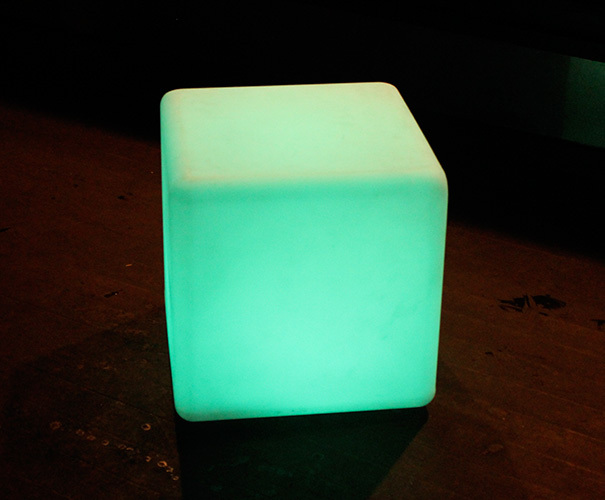 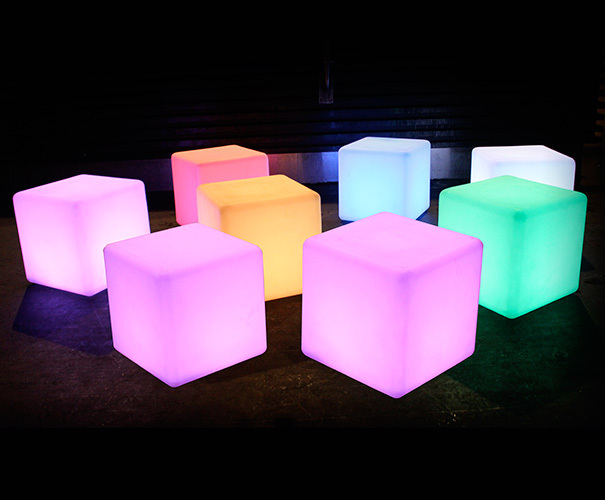 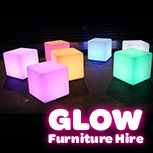 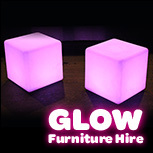 Our 80cm glow cubes are sure to make an impression. 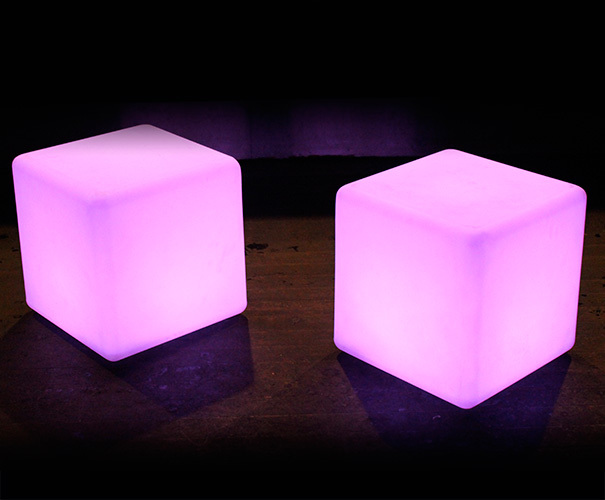 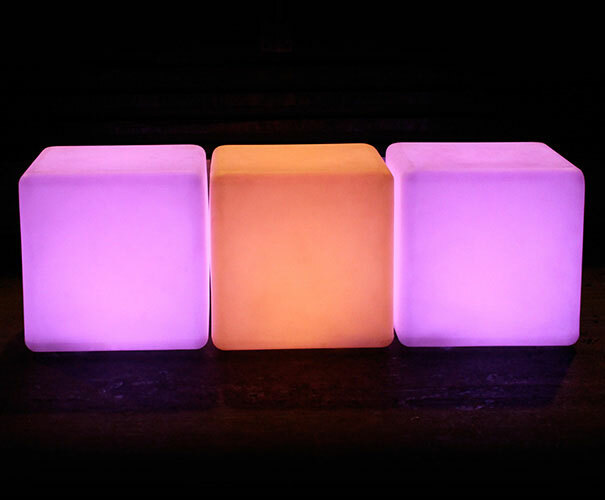 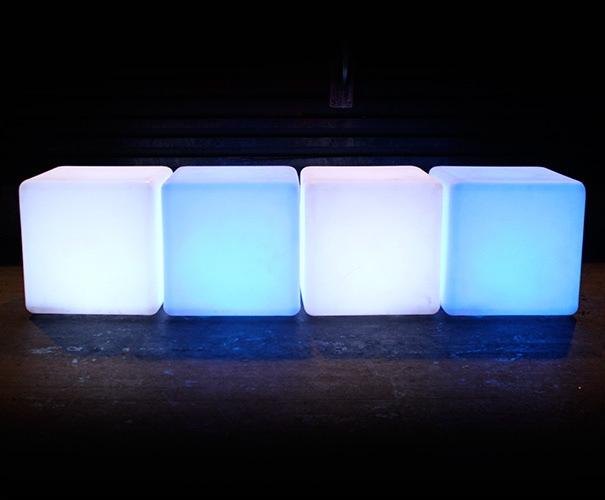 These massive cubes light up via an internal led light fitting inside. 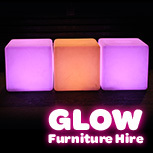 They give approximately 8 hours of illumination. 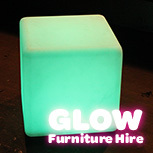 They can be set to a range of colour with a remote. 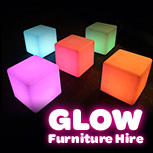 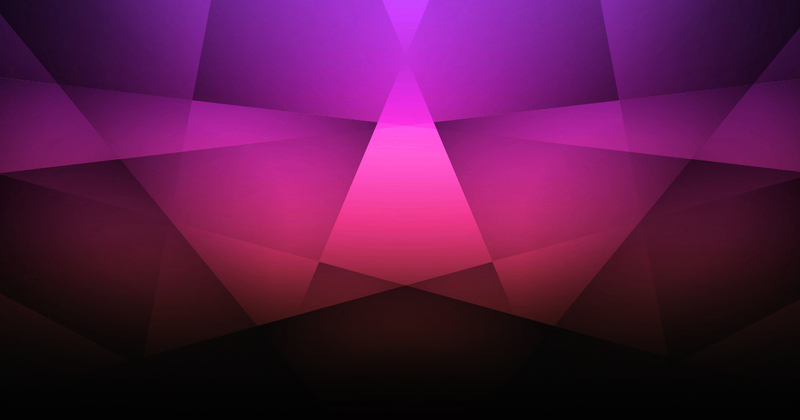 You can choose a fixed colour or select modes that fade between colours. 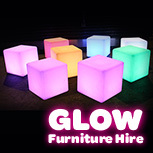 There are 16 colours to choose from. 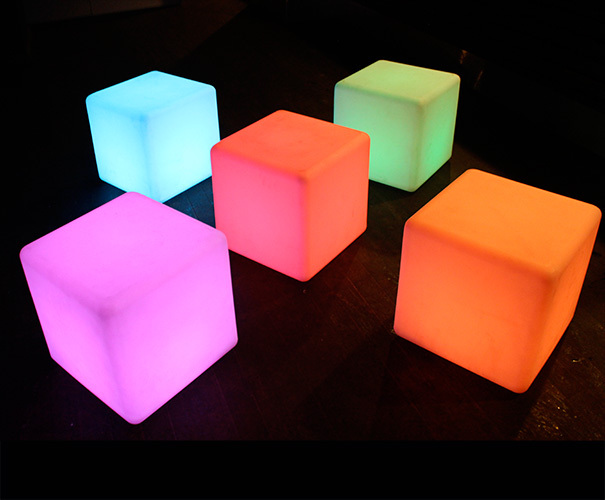 They come pre charged and there are no cables, allowing it to be safely placed anywhere without the interference of cords. 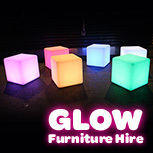 Email us your quote and we will endeavour to beat it.